near King Square Gardens/Lever Street. Agency Description: Falcon Green Personnel Recruitment Agency recruits for a vast range of small, medium and large construction companies. 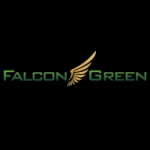 FalconGreen job vacancies are widespread across all construction disciplines, from the supply of labour and trade temps to the recruitment of professional and technical personnel. The Falcon Green Personnel Recruitment Agency also provides vacancies for specialist Finishing and Site Managers in Residential Development. trained Electricians and Plumbers for construction projects based in Central London. FalconGreen Personnel Recruitment Agency Employs security guards who are SIA accredited. recently, the agency supplied twenty four hour security on the Shangri La Hotel in the Shard, Europe's tallest building. Thomas St, London SE1. FalconGreen Personnel Recruitment agency lists many temporary and part time jobs for CSCS Construction Cleaners. Directions: Buses to Goswell Rd/South Islington; 4, 56, 43, 205, 214, 274 and 394. Bus number 153 also goes to City University of London witch is very near to FalconGreen recruitment office. Angel Station (Northern) and Old Street Station are the nearest train stations to the FalconGreen recruitment agency.